Starting up a company in Hong Kong has i’ts benefits. They have no restriction on the amount of share capital. As long as you are respecting Hong Kong laws and regulations you have nothing to worry about. It requires at least one shareholder and one director. It doesn’t even have to be a Hong Kong resident. You will need a Hong Kong address and a company secretary that does need to be a Hong Kong resident. You will need to decide on a company name. Once you decide on your company name or names you can begin the application process. There is an application you need to fill out and return with copies of your identity card or passport of all of the shareholders and directors. We will have to check to see if the company name has been used or going to be used elsewhere before it can be confirmed. Once it is accepted and all identification has been properly sent you will receive an email of invoice for the payment. The documents will then be prepared after your payment has been sent plus twenty four hours. The documents then need to be signed and prepared properly and mailed back to the proper office. It will take about six working days to complete the process. If everything goes according to plan you will receive the Green Box with company documents. 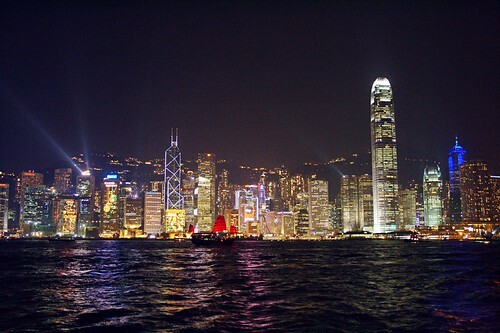 After that is all said and done you can begin on starting your company offshore with Hong Kong. You can use all of the benefits that it has for you. There is a simple and advantageous tax system and freedom for entrepreneurs. The Hong Kong economy is liberal. Money can even be deposited or withdrawn and even transferred from a bank account of Hong Kong as often and freely as you wish without having to produce any evidence or pay any taxes. You also can have a bank account that is reliable and that you can use online for your company. Anything that you can use online or via phone will help a company tremendously. Without having to go into an office or mail documents in you can work the business fast and efficiently. When owning a business it is important to have things done fast and efficiently. Do you really want to run things slow and horrible? No. to have access to accounts online you can view and adjust your account at your fingers. Immediate response time is what everyone wants to have for the business. Especially when just starting out. When you start a new business so many things can become complicated and you need to keep an eye on everything. An online account will help with so many different things and keep you on your toes. Money is so important for the company. What could you do without money? Nothing at all. The online account that is fully reliable and professional will keep you knowing what is going on with the accounts and monies in the account. Lucifer has been writing about international and offshore businesses for years. He has had an interest in eventually starting a Hong Kong offshore company for years which is one reason he enjoys writing on this subject. This entry was posted in Business Building Tips by Guest Author. Bookmark the permalink.